TheLEADERThe IFC-led financing package, combined with advisory services, will boost lending to small and medium enterprises (SMEs), especially women-owned or led ones, and will promote supply chain finance in Vietnam. The long-term financing package provided to Orient Commercial Joint Stock Bank (OCB) comprises $57.16 million from the own account of IFC and $42.84 million from the multi-investor managed co-lending portfolio program. OCB aims to use at least half of the loan proceeds to finance women-owned or led SMEs. IFC has provided to date more than $400 million in financing for women entrepreneurs in Vietnam. The country is one of the three biggest markets of IFC’s gender finance program. 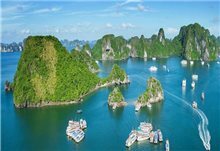 Comprising 98 per cent of Vietnam’s total enterprises, SMEs are the primary engine of job creation in Vietnam, employing more than half of the labor force and contributing about 40 per cent to the gross domestic product. Yet, around 60 per cent of SMEs have unmet financing needs - a $21 billion financing gap. Access to finance is therefore key to unlock the potential of SMEs. In addition to funding, in partnership with the Swiss State Secretariat for Economic Affairs, IFC will help OCB develop its supply chain finance business. While Vietnam is an export-driven economy, currently few local banks offer a full range of supply-chain financial services to smaller businesses. With IFC’s support, OCB will develop a supply chain finance electronic platform to support the financing of commercial transactions in a transparent and efficient manner. 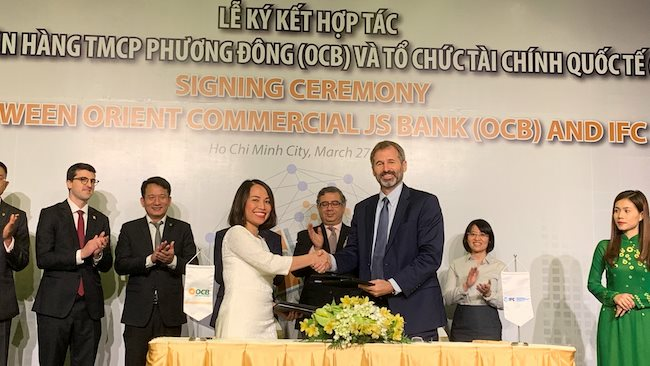 “We share OCB’s vision to become a specialized SME and retail bank in Vietnam by exploring new opportunities and deploying innovative solutions to better address SMEs’ financing needs,” said Vivek Pathak, IFC Regional Director for East Asia and the Pacific. IFC and OCB’s partnership started in 2011 with a trade finance guarantee of $20 million under IFC’s Global Trade Finance Program. IFC provided additional financing with a $25 million loan in March 2012 and revolving short-term liquidity of $10 million.